Clean, easy, and customizable text editor. Is there a better alternative to SimpleEdit? Is SimpleEdit really the best app in Editors category? Will SimpleEdit work good on macOS 10.13.4? 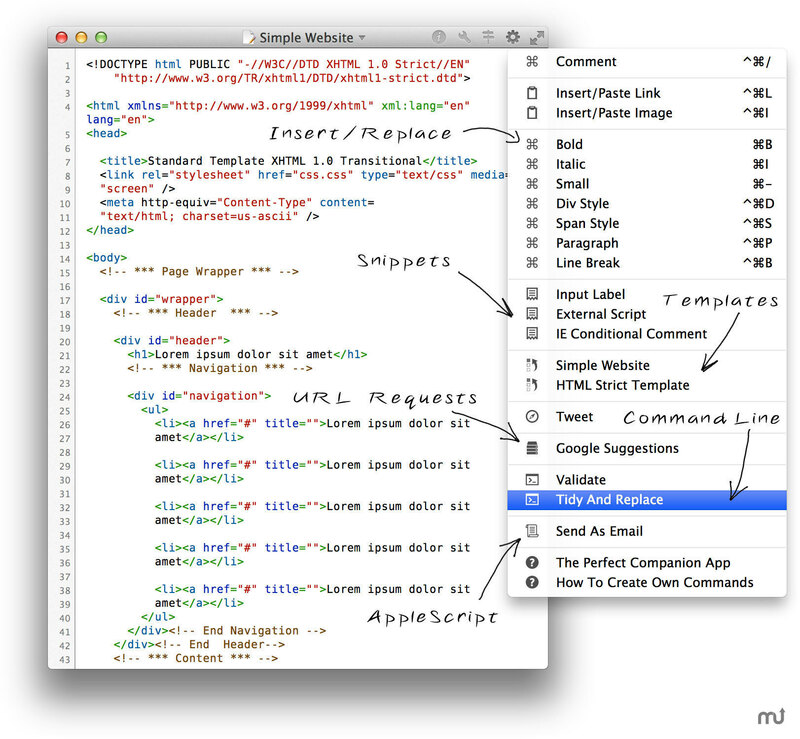 SimpleEdit is powerful, customizable, has iCloud/Dropbox Support, and is Retina-aware. Yes, sometimes a jam-packed editor is necessary. But in most cases we need something simple, fast and uncluttered. SimpleEdit will be your first second editor of choice. It is very fast, iCloud* enabled, powerful and clean. The best thing about SimpleEdit is its customizability. You can create your own themes and definitions for any language you want and need. Its syntax highlighting knows more than just some keywords and is very fast and robust. SimpleEdit needs a rating. Be the first to rate this app and get the discussion started! But what you will love most about SimpleEdit is its customizable command menu. A menu with all your own actions, scripts, commands, snippets and templates. You can create your own command-line commands or even your own URL requests. So you could post your code with just a single click to an online snippets repository. Or - with also just one click - you could create a PDF preview from a LaTeX document.